Vancouver-born Madeleine Thien and Montreal native David Szalay are among six international authors named to the short list Tuesday for the prestigious Man Booker Prize. Two Canadian authors have made the short list of six writers for the Man Booker Prize. 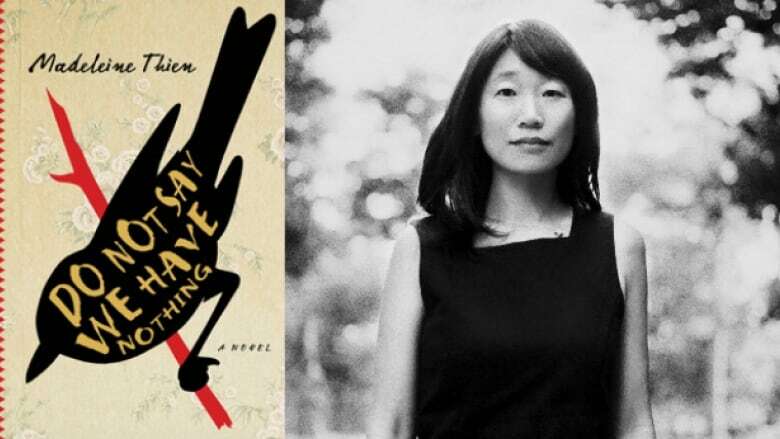 Vancouver-born Madeleine Thien and Montreal native David Szalay were named in London early Tuesday along with two American and two British authors also vying for the prestigious award. Szalay, who is now based in Hungary, received the nomination for his book All That Man Is (McClelland & Stewart). The story is set in various European cities and follows the lives of men at different stages in their lives, from their teens through old age. Thien was recognized for Do Not Say We Have Nothing (Knopf Canada). The story is set in China before, during and after the 1989 Tiananmen Square protests. Thien, now based in Montreal, told The Canadian Press last month when she made the Man Booker long list that the heart of her story involves three Chinese musicians who are studying Western classical music at the Shanghai Conservatory of Music in the 1960s. The novel explores the revolution that occurred under Mao Zedong and the many political campaigns that pulled apart people's lives. Thien's book was also longlisted for Canada's ScotiaBank Giller Prize just last week. The winning author for that award will be announced on Nov. 7. The other authors on the Man Booker short list are Americans Paul Beatty for The Sellout and Ottessa Moshfegh for Eileen, plus British writers Deborah Levy for Hot Milk and Graeme Macrae Burnet for His Bloody Project. Founded in 1969, the award had previously been open to writers from Britain, Ireland and the Commonwealth, but was expanded in 2014 to include all English-language authors. The British literary award, which usually brings the victor a huge sales boost, is named after its sponsor, financial services firm Man Group PLC. Jamaican writer Marlon James won the 2015 Man Booker Prize for his book A Brief History of Seven Killings.